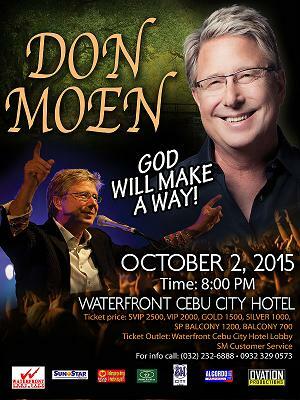 Oktoberfest, DJ Danny Avila & Don Moen TONIGHT in Cebu!. October 2-4, 2015 Music Madness. 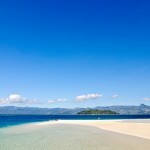 This weekend is the most exciting as Cebu is having the biggest events. Tonight will be the biggest of them all. Get ready for a massive beer shower, bar hopping and performances by the best bands. It’s the biggest beer and music festival in the country yet held by none other than San Miguel Corporation. Party starts at 6:00 PM at IT Park, Salinas Drive, Lahug, Cebu City. Buy a ticket if you haven’t already! J Ave Superclub invites you to enjoy a night “[tripping] the party lights fantastic because Danny Avila is going to slay the decks. …It’s gonna be a stacked lineup because we also have supporting performances by guest DJs Daiki, Tora, Seigo, and Victor Jao along with our resident acts Juan Pablo and Frac Attack.” Party starts at 9:00 P, Saturday, October 2, 2015 at Mango Square Mall, General Maxilom Ave., Cebu City. 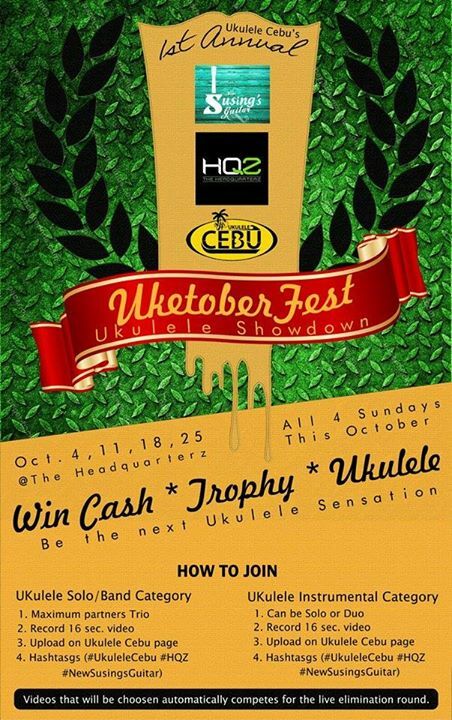 Catch the elimination round for Ukulele Cebu‘s Uketoberfest Ukulele Showdown. Participants can perform in solos, duos and trios. Cheer on your favorite and watch them wow the audience. Elimination rounds will be held at the The HeadquarterZ, EZone, F. Cabahug St., Casambagan, Mabolo on October 4, 2015, Sunday 9:00 PM. 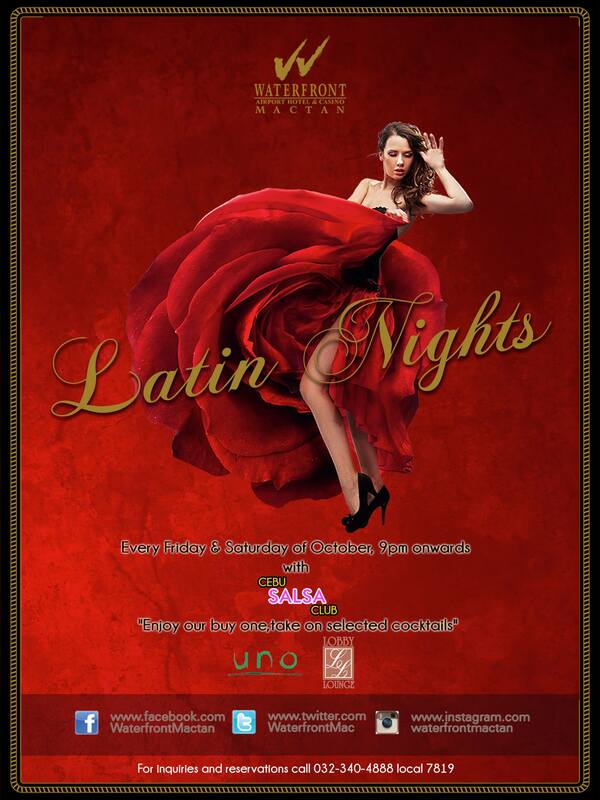 Let’s salsa! 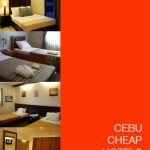 The Cebu Salsa Club will be in the Waterfront Airport Hotel and Casino for the whole month of October. Make your Friday night extra hot for free! Enjoy an extra glass of Mojitos, Cuba Libre, or Margaritas for every glass you purchase. Beginner lessons begin at 9:00 PM until 9:30 PM. They won’t be closing at midnight. If you’re having a good time, you can spend the rest of the evening dancing the night away.